It seems another celebrity marriage is about to go down the divorce tunnel. 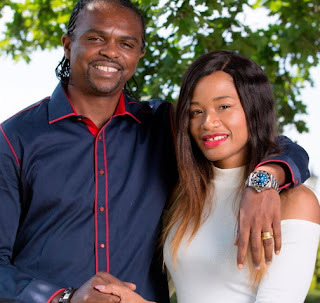 Kanu Nwankwo and his fitness trainer wife, Amarachi seem to be out of term days after she insulted his brother, Ogbonna Kanu. 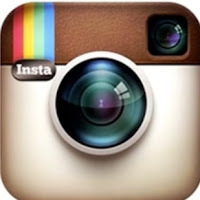 A quick look on their IG pages shows that they have both unfollowed each other just as Amarachi called Kanu’s brother “Oloshi Oloriburuku” for stealing her child’s ticket. Sadly, if the couple falls apart, their 14-year marriage will go down the negative side of history. In as much as the brother may not be buoyant ans relied on kanu for hi.s upkeep.he needs to find something tangible to do even as he married tv star linda whose sister is bethrothed to kanus brother.the guy should not crash kanus marriage knowing fully well he is still fighting his hige properties take over by the govt.his wife shouldnt curse kanus brother and put the.whole thing on social media.that was a senseless move o.n her own part. This is it..the government in the name of AMCON are succeeding….come and develop Nigeria is always what we hear,hard to succeed without being a crook by joining the evil cult politicians. Amara fucked up big time, my wife can’t disrespect my family member on social media and expect me to take it kindly with her. Good talk samak. Amara did absolutely wrong, that’s his brother for christ sake. No respect for the in-laws any more. Rubbish. In laws too should behave themselves and should stop act like parasites. Kanu’s brother should not have taken his nephew’s ticket. However, Amara next time don’t air family feud on social media.